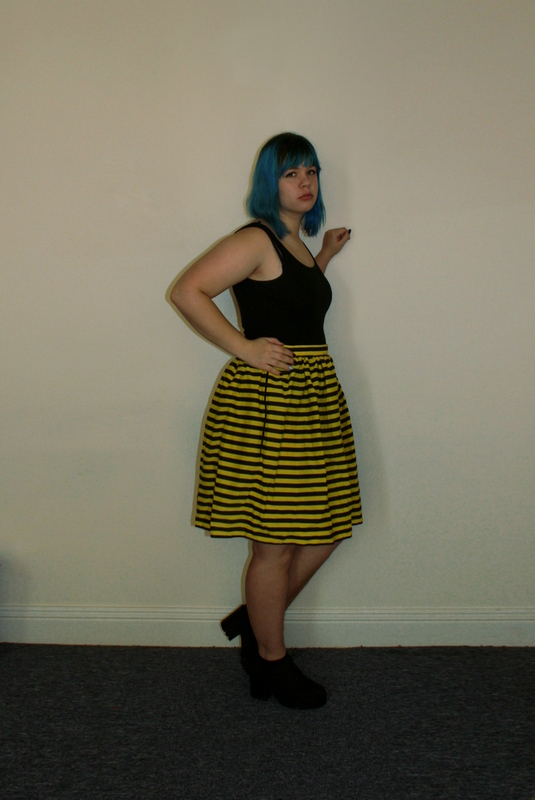 I made this skirt as part of a costume for a bee party I went to a few months ago. Since I haven’t been doing the best job of taking photos as soon as I make something, this post (as well as the next one) are quite late. I went on amazon and bought two meters of the cheapest black and yellow striped fabric I could find. Originally, I had intended to make a dress from Gertie’s Ultimate Dress Book, but I came across a problem when it came to the bodice. I cut the bodice out a size larger than it needed to be, but the armholes were so small I couldn’t fit my arms through them. Because I was a little pressed for time, I gave up on trying to fit the sleeves and bodice to myself and made a skirt instead. The skirt is simple, made from three rectangles: the front, back, and waistband. I zig zag stitched all the raw seams and included a side zipper. I would like to eventually make this skirt into the dress I originally wanted. The bodice pieces only need small modifications in the shoulder and armpit area. While the pattern originally called for short sleeves, I probably won’t include them because I don’t have enough fabric left to recut them. 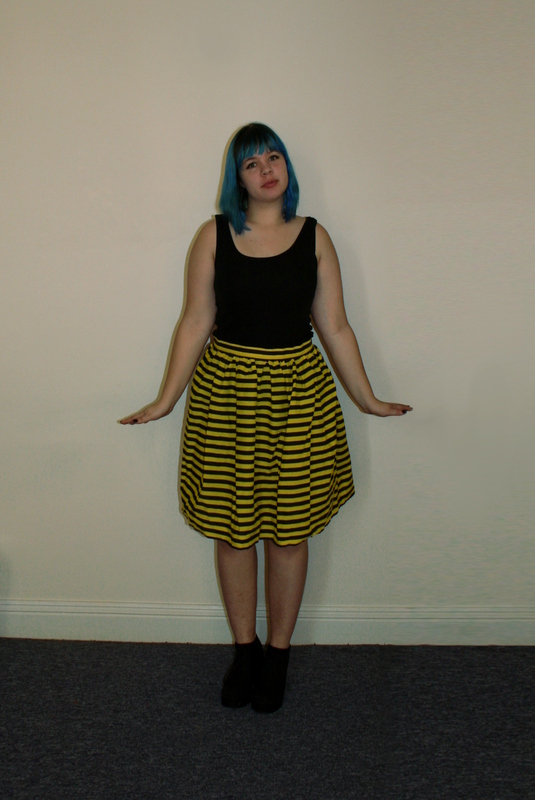 This entry was posted in Personal Garments and tagged bee, skirt, stripes, yellow by Evelyn. Bookmark the permalink.